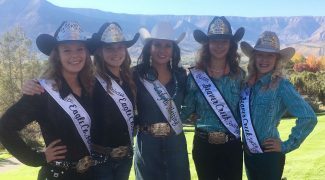 Pictured at the sixth annual Western Slope Rodeo Royalty Clinic 2017 is Brielle Kromer, Natalie Winstead, Miss Rodeo Colorado Lady-in-Waiting 2018, Alex Hyland, Morgan Kromer and Kamryn Davis. This fun-filled one day affordable clinic was held in Battlement Mesa, Colo., at the Grand Valley Recreation Center. Please visit the website at www.westernsloperodeoroyalty.com for more information. Lyndsay Jo Smith, of Rifle, Colo., is the organizer. Swift Built trailers announced the promotion of Doug Fryer to managing partner and John Murdock to technical coordinator. Fryer will be in charge sales and dealer relations while Murdock will be in charge of online marketing and related services and products. Swift Built is one of the few trailers designed and constructed to maximize your animals' comfort and safety on and off the road. The trailers heavy-duty construction helps minimize bumps and rattles. Swift Built ranch-ready trailers have evolved to the current third-generation of trailer development, a continuous process of designing and improving has resulted in the trailer you see today. The Swift Built story started with a design on a napkin and has evolved into CAD blueprints and with precise laser-cut steel and components. This exclusive product design and manufacturing design can be seen at swiftbuilttrailers.com. Angus enthusiasts led 246 entries while competing for top honors at the 2017 North American International Livestock Exposition Super Point Roll of Victory Angus Show and National Angus Show, Nov. 13 in Louisville, Ky. Jeff Gooden, Iberia, Mo., evaluated the 198 females, 53 bulls and five cow-calf pairs before selecting the winning animals. WCC Unique C112 claimed grand champion and senior champion bull honors. Express Angus Ranches, Yukon, Okla.; and Wilson Cattle Company and Unique Associates, both of Cloverdale, Ind., own the November 2015 son of SCC First-N-Goal GAF 114. KR Casino 6243 won reserve grand champion bull for Krebs Ranch, Gordon, Neb., and Badger Creek Cattle Co., Emporia, Kan. The January 2016 son of CFCC Black Jack 001 first won junior champion. EXAR Princess 6680 captured grand champion female honors for Carter Ward, Plattsburg, Mo. The January 2016 daughter of S&R Roundtable J328 first won early junior champion. Lauryn Mool, Lexington, Ill., owns the reserve grand champion female. TopLine FCF Proven Queen 161 is the February 2016 daughter of Dameron First Class and first claimed reserve early junior champion. Top Line Lady 5103 won grand champion cow-calf pair. Brady Schnelten, Rockbridge, Ill., owns the April 2015 daughter of PVF Insight 0129. A February 2017 bull calf sired by SAC Conversation completes the winning pair. Wilson Cattle Company, Cloverdale, Ind., and Olivia Wilson, Ogden, Ill., own the reserve champion cow-calf pair. W C C Migronne C56 is a June 2015 daughter of EXAR Blue Chip 1877B. A May 2017 bull calf sired by PVF Insight 0129 is at side. GREELEY, Colo. — The Colorado Livestock Association named State Sen. Jerry Sonnenberg as their "Legislator of the Year" for his work and commitment to Colorado's agriculture and livestock industry. "Sen. Jerry Sonnenberg is a real-life farmer and rancher who has a deep-rooted understanding of and passion for agriculture in Colorado. 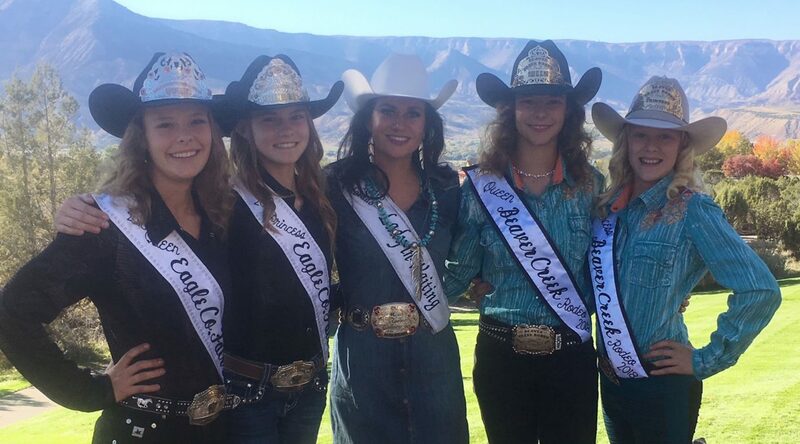 This is most evident in his actions as he represents not just his constituents in Senate District One, but all of Colorado agriculture in carrying out his duties in the Colorado Senate," said Bill Hammerich, CEO of Colorado Livestock Association. "Because of his commitment to and support of agriculture in the legislative arena the Colorado Livestock Association is proud to recognize Senator Jerry Sonnenberg as the CLA 2017 Legislator of the Year." "I am honored to be recognized by my fellow livestock producers for the legislative work that we have accomplished together," Sonnenberg said. Sonnenberg is a Colorado native who has been farming and ranching in northeastern Colorado his entire life. He continues to live and work on the same family farm that both his father and he were raised. Currently, Sonnenberg serves as President Pro Tempore of the Colorado Senate and continues to demonstrate his dedication to the agricultural community through his chairmanship of the Senate Agriculture, Natural Resources and Energy Committee. CLA has worked with Sonnenberg on a number of issues impacting agriculture and continues to collaborate with the senator to advance the livestock industry in our state. Nebraska Extension in the Panhandle has recognized a Lakeside woman and a diversified family farm and ranch operation near Hay Springs, Neb., for their years of service to agriculture and Extension in the Panhandle. Linda Andersen of Lakeside, who has spent four decades volunteering with the local 4-H program (and 59 years altogether as a member or volunteer), was recognized for Service to Panhandle Extension. Terrell Farms near Hay Springs was recognized for Service to Panhandle Agriculture. The Service to Panhandle Extension Award, initiated in 2015, recognizes persons or groups whose contributions have furthered Extension activities in the Nebraska Panhandle. Andersen was nominated by 4-H Assistant Melissa Mracek. As a 40-year volunteer to the Sheridan County 4-H program, Andersen has been extremely dedicated and loyal, helping her two children and four grandchildren become 4-H alumni. (She also has two great-grandchildren.) She has also been an Extension Board member and county fair donor. She has taught sewing and quilting to a number of youth, and is currently helping with a monthly sewing group. She still offers to teach at summer workshops and can be seen helping at the Sheridan County Fair every year. She has helped grow the Sheridan County goat program and sewing program tremendously. While she participated in 4-H she showed market steers, breeding heifers, sewing, baking, public speaking contest, and demonstration contest. She even showed her market steers and breeding heifers in Denver. Andersen was a Sheridan County 4-H Queen in 1968-69 and was a recipient of the Friend of 4-H award. When the Extension office in Sheridan County was understaffed during the employment search for assistants and educators, Andersen was an active part of the hiring process, attending all the interviews. She did her most to help welcome everyone new who came through the office doors. The Outstanding Service to Panhandle Agriculture Award recognizes persons or groups who provide outstanding service to agriculture in western Nebraska. Award criteria include value of work done or cooperation with UNL specialists or educators; leadership in agriculture; community service other than agriculture; and level of impact on Panhandle agriculture. Terrell Farms was nominated by Extension Educator Jack Arterburn. The Service to Panhandle Agriculture honoree, Terrell Farms, is a progressive and diversified farming and ranching operation in west central Sheridan County managed by Vern and Marjean Terrell and their son and daughter-in-law, Brock, and Heidi Terrell, as well as several employees. Terrell Farms has a reputation as leaders of innovation and their management continues to evolve. They grow both irrigated and dryland row crops. On the livestock side, they run a cow-calf operation and recently acquired sheep to help graze their pastures. The sheep tend to follow the cattle and will eat the grasses that cattle will not. In addition to running sheep, they use other new or innovative practices, such as cover crops and annual forages, and irrigated perennial pasture. The Terrells are active in numerous agricultural organizations including the Nebraska Grazing Lands Coalition, Nebraska Cattlemen, Sandhills Cattlemen and Nebraska Extension. They are tremendous supporters of agricultural research and participate in on-the-farm research with Nebraska Extension. These include dry-bean harvest methods, along with Extension Educator John Thomas, and grazing cover crops along with Cow-calf and Range Management Specialist Mitchell Stephenson and support by the Nebraska Grazing Lands Coalition. In 2002, they received the Sheridan County 4-H Alumni award. Vern is also currently serving as a Sheridan County Extension Board member. MANHATTAN — New hires to the Kansas State Veterinary Diagnostic Laboratory diagnostic team have helped enhance services the lab provides. The lab is part of Kansas State University's College of Veterinary Medicine. Four pathologists and one parasitologist recently joined the lab, which delivers accurate, innovative and timely diagnostic and consultative services to the veterinary and animal health community in Kansas and the nation. "This is a diverse group that will ultimately help us shorten turnaround time as well develop new tests and protocols in both pathology and parasitology," said Jamie Henningson, interim director of the lab. "Additionally, their knowledge base and enthusiasm will help the Kansas State Veterinary Diagnostic Laboratory grow into new areas of diagnostic medicine." • Sarah Schneider is an anatomic pathologist who attended veterinary college at the University of Tennessee. She then practiced small animal medicine in Beaufort, S.C., for three years before returning to a residency in anatomic pathology at Texas A&M University. Schnieder was board certified in anatomic pathology in 2013, and continued teaching on the necropsy service at Texas A&M while pursuing a doctorate focused on cardiomyopathy in the golden retriever model of muscular dystrophy. • Cindy Bell, an anatomic pathologist, grew up in hog and corn country in northwestern Illinois. She said she found veterinary medicine to be the ideal intersection for someone with a brain for biology and a heart for promoting healthy rural economies. As an anatomic pathologist, Bell spent five years at the Wisconsin Veterinary Diagnostic Laboratory where dairy cattle constituted the majority of case work. She also augments her credentials as a poultry pathologist and has distinguished herself in veterinary oral/dental pathology. She is currently faculty supervisor of the Kansas State Veterinary Diagnostic Laboratory histology and immunohistochemistry laboratory. • Brian Herrin, a parasitologist, is originally from Lindsay, Okla., and has completed both his doctor of veterinary medicine and doctorate at Oklahoma State University. While his current research focus is on the epidemiology of Lyme borreliosis in humans and dogs in North America, he is also interested in the evaluation of diagnostic assays for tick-borne diseases and surveillance of ticks and tick-borne diseases from horses. Herrin said he enjoys working with all parasites of veterinary importance through the diagnostic service and teaching/outreach opportunities. He is currently overseeing the Kansas State Veterinary Diagnostic Laboratory parasitology laboratory and has already made a change to improve antigen detection in heartworm testing. • Nora Springer, a clinical pathologist, is a 2008 graduate of the Kansas State University College of Veterinary Medicine. She subsequently completed residency training in veterinary clinical pathology and a doctorate in comparative oncology and translational medicine, both at Cornell University. Springer's clinical and research interests are focused on hematopathology and hematopoietic neoplasia, particularly lymphoma and acute leukemias. • Diana Schwartz, a clinical pathologist, earned her doctor of veterinary medicine from the University of Minnesota in 2013. She then participated in a clinical rotating small animal internship at the Sacramento Veterinary Referral Center before completing a residency in clinical pathology at the University of California, Davis. Schwartz's main focus is on diagnostic service, with particular areas of interest including acute phase proteins and central nervous system neoplasia in dogs and cats. In August 2017, she passed the American College of Veterinary Pathologists board examination for clinical pathology. Many Angus breeders aspire to take home the coveted win in the showring — grand champion of the show. The sires of those cattle are also a key part of the equation. The American Angus Association offers their Roll of Victory Show Program to recognize show-winning animals and their sires and dams. Outstanding Angus cattle and their breeders/owners who were winners during the 2016-2017 show season were recognized at the 2017 Angus Convention, Nov. 4-6, in Fort Worth, Texas. "These cattle are the best of the best in the show ring," said Allen Moczygemba, association CEO. "They are the trend setters that will influence the types of herd bulls and females that other Angus breeders will look to buy in the coming months." The ROV Show Heifer of the Year award was presented to Conley Sandy 5104, owned by David Smith, Boulder, Colo., and Conley Cattle, Sulphur, Okla.
DAJS Special Effects 044 was awarded the ROV Show Bull of the Year award. Special Effects is owned by Doug Satree Angus, Montague, Texas. Express Ranches, Yukon, Okla., took top honors as the ROV Breeder of the Year. The ROV show season runs from June 1 through May 31, and points are accumulated on an annual basis. The program includes 19 shows, including six super point shows and 13 recognition point shows.